At Spinal Care Chiropractic, our warm and welcoming team creates a relaxing and comfortable atmosphere for you. We look forward to meeting you and discovering how we can help you regain your health! 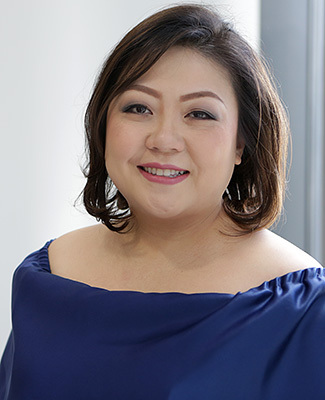 April obtained her Bachelor of Science in Legal Management from Ateneo de Manila University in the Philippines. Before joining Spinal Care Chiropractic, she held jobs as an interior designer and chef in Australia. She likes working as a part of our welcoming team, seeing patients leave with smiles on their faces and enjoying better health. April is the mother of a beautiful baby boy. Outside of work, she loves eating out and traveling, cooking and baking, watching theater and musicals and spending time with family and friends. 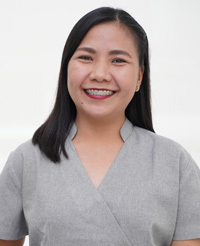 A registered nurse, Princess earned a Bachelor of Science in Nursing and is currently studying to obtain her Master of Arts in Nursing at Philippine Women’s University. She likes meeting new people and providing quality healthcare to a diverse group of people, always gaining more knowledge about Chiropractic. Princess is open to learning new skills and knowledge and enjoys socializing. She loves to travel, sing, play the piano and organ, watch movies, color and take pictures. Our practice offers weekend appointments. In her role as clinic nurse at the practice, Janelle assists patients and Dr. Daniel throughout their treatment. She enjoys working in the Chiropractic profession and finds it fascinating as it’s a non-invasive health option that utilizes a holistic approach towards wellness. 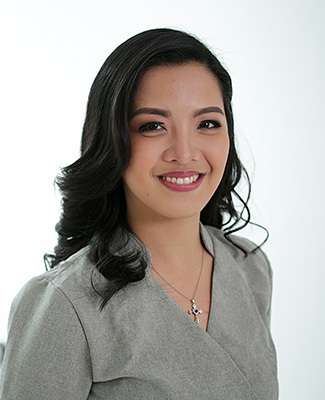 Janelle graduated from Philippine Women’s University with a Bachelor of Science in Nursing. Outside the practice, Janelle likes to play with her nieces and nephews, read e-books, browse Instagram photos and occasionally sing at karaoke. 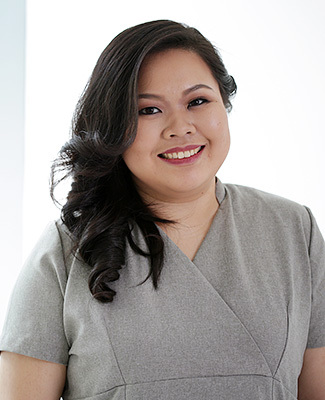 As a clinic nurse at the practice, Tine enjoys her daily interactions with patients and likes building rapport with them. For her Chiropractic is a breath of fresh air as it’s a natural approach to healthcare. She appreciates Dr. Daniel’s ability to help patients feel better and live a healthy and comfortable life. 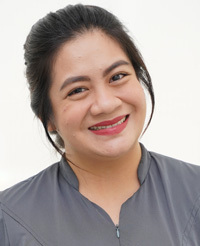 Tine possesses a Bachelor of Science in Nursing from Far Eastern University. When she’s not at the practice, Tine loves reading books, particularly ones by Colleen Hoover. She also enjoys watching movies and spending time with friends and family. What Ninz finds particularly interesting about Chiropractic is that it is a non-surgical approach to healthcare. In her role, she is able to understand better the how’s and why’s of the human body. Ninz believes that everyone’s lifestyle has a great impact on their health. She graduated from Universidad de Sta. Isabel in 2009 with a Bachelor of Science in Nursing. In her spare time, she loves to play the guitar and piano, write poems, travel and visit different places, and try new restaurants or food chains. 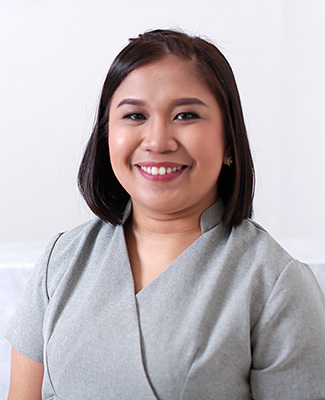 A 2011 graduate of Emilio Aguinaldo College – Manila, Lara is a seasoned physical therapist. She possesses strong interpersonal skills and proficiency in patient assessment, time management and therapy-program design and execution. She likes that physical therapy is a multi-disciplinary profession that allows her to help people achieve their full potential while working on her professional growth. Throughout her career, Angel has developed a thorough understanding of the human anatomy and it’s physiologic properties, making her a passionate, effective and friendly Physical Therapist. At Spinal Care Chiropractic, we couldn’t be happier to have her as a part of our team. What Angel enjoys most about helping patients is the fact that her work centers around maximizing movement and restoring function. She particularly enjoys using trigger point therapy to target muscle tightness and tenderness. 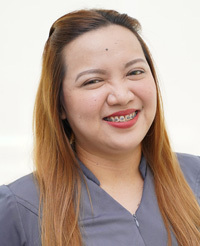 Angel received her education from Emilio Aguinaldo College, graduating in 2012. Outside of the practice, Angel enjoys hanging out with her closest friends, traveling and watching the Harry Potter series. Get to know more about her when you visit us for your next appointment. Contact us today to find out what Chiropractic can do for you!